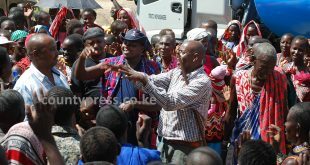 Kajiado West Constituency Member of Parliament George Sunkuya has maintained that contract of dualling of the 23.5-kilometre Bomas-Ongata Rongai- Kiserian -Kona Baridi (Magadi Road) has been awarded. 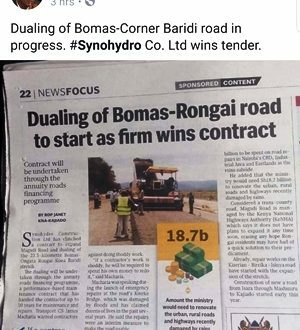 Sunkuya who spoke to this writer on phone maintained that a Chinese company has clinched a contract to expand the road terming it good news to the locals. 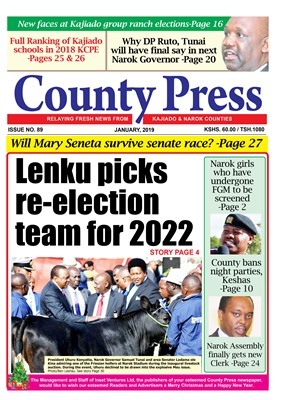 A spot-check revealed that the article was first published on June 2018 by a local press. 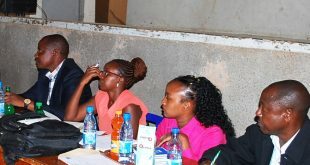 Debate on why the MP was sharing old news misleading the public emerged with locals calling on the MP to get updated on Government projects which falls under his jurisdiction. According to Government documents seen by this writer the road expansion project was pushed forward to next financial year and the contract is yet to be awarded. 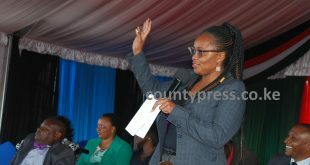 The National Treasury’s Draft 2019 Budget Policy Statement released on January 10th 2019 indicated that the contract negotiations are underway for Lot 8 projects, including Bomas–Kiserian–Magadi, Bomas-Karen-Dagoretti–Ruiru and Uplands-Githunguri-Ngewa-Ruiru highways. The projects will be among 39 Public-Private Partnership projects planned for 2019-2021. 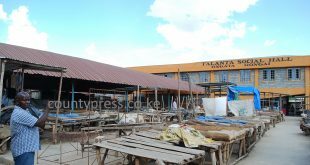 The Government had first announced the projects in the 2018-19 budget planning which led to clearing of structures in Rongai and Kiserian on Magadi Road road reserve which caused panic in the area, major structures including Soko Mjinga market were pulled down but the traders later returned to the site. The road construction that is ongoing is of Isinya –Kiserian –Ngong – to Suswa.